How does the earth’s heat produce geothermal energy? Geothermal energy is a renewable energy source. Essentially the source of geothermal energy is the radioactive decay of elements deep within the earth. If aquifers are coincidental with geothermal, hot geysers will form that spout steam into the air. If no aquifers are present the hot spot is called dry geothermal. Iceland leads the world in the capturing of geothermal energy to heat homes, offices and factories as well as generating electricity from this renewable energy source. Chevron the San Francisco based oil company claims to be the world’s largest geothermal electricity company. Chevron has large projects in Indonesia and the Philippines which are two countries with significant geothermal potential. I like geothermal simply because the word rings nicely in my head. Chevrolet used to market a mini car named a Geo Prizm which was actually a Toyota Corolla manufactured in the factory GM and Toyota shared (NUMI) in Fremont California. GM in bankruptcy has pulled out of the joint venture and just this week it is pretty much assured that Toyota will close the NUMI plant. Numi is the only auto assembly plant on the US West Coast. The left coast will be left out of the auto race, except perhaps Tesla who will get almost half a billion of government money to build their plug in sedan. Here is an idea. Toyota should buy Tesla and use NUMI for the plug in and the feds should keep our tax dollars for fixing potholes that otherwise will destroy vehicles. Can methane hydrates supply the world with energy? On the second page of the Popular Mechanics article the following data is provided by the US Geological Survey: Somewhere between 100,000 and 3 million trillion cubic feet of methane exists in hydrate form on planet earth. For comparison the US consumes approximately 23 trillion cubic feet a year of methane for home and business heating, industry, and electricity generation. The world uses about 90 trillion cubic feet a year of methane. Therefore there are between 1,100 and 33,000 years of the global usage of methane gas trapped as hydrates. That is the good news. Now we hear the bad news. Extracting the methane from the hydrates is not simple and will require the engineering of systems that lower the pressure applied by the deep ocean. Also we do not want to inadvertently release copious amounts of methane as this gas has 21 times the global warming effect on a pound for pound basis versus carbon dioxide. In fact there is a scare regarding the uncontrolled release of methane from hydrates that are trapped below permafrost. 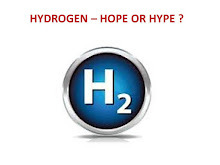 In this case, the hydrate forms because of low temperature rather than high pressure. Thermodynamically one can think about the equilibrium of solids and gases kind of like the way dry ice sublimes. As dry ice warms the solid becomes gaseous. To prevent dry ice from subliming one can either keep it very cold or store it under high pressure so that the conditions favor it remaining a solid. 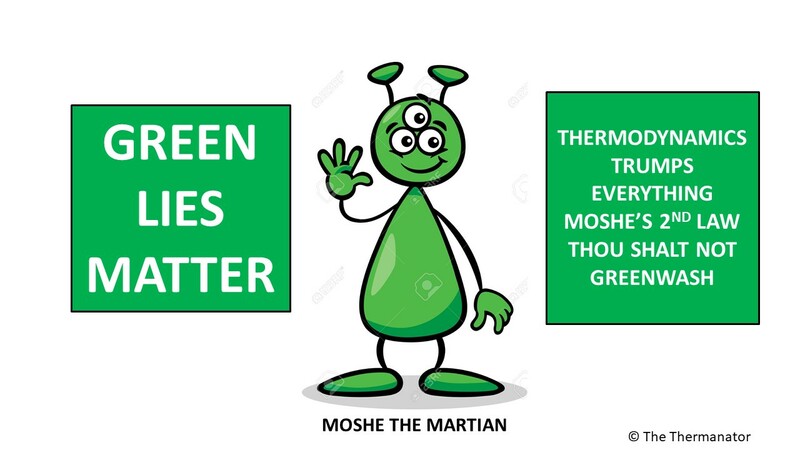 Similarly methane hydrates will remain in the hydrated condition if the pressure remains high (under the sea) or the in the case of permafrost the temperature remains very cold. I have no doubt that after we have exhausted the conventional methane sources in about fifty years in the future we will engineer systems to recover methane from hydrates. The company that commercializes the process will dwarf Exxon Mobil and Shell. Can coal power plants compete with natural gas? In the construction industry a Greenfield is a site that has never had any construction upon it. The word in this context is a wide open space to construct the new project without any demolition or possible hidden underground structures. Engineers love to have Greenfield sites as opposed to Brownfield sites where all sorts of hidden obstacles can add complexities and costs to projects. Greenfield is also a city in Wisconsin that is a suburb of Milwaukee. Very close to Greenfield is another suburb named Oak Creek. On Elm Road in Oak Creek, Wisconsin Energy Corporation (WEC), the local utility decided to build the world’s showcase coal fired power plant on a Greenfield site. They hired Bechtel and convinced their public utilities commission this mega sized coal power generation station would provide “cheap” electricity for the residents of Southern Wisconsin for many years to come. Fast forward to 2009 and the project is a disaster. Bechtel is claiming an additional $485 million for cost over-runs. http://biz.yahoo.com/e/081229/wec8-k.html Coal is an expensive method to generate power compared with natural gas that is now much more abundant. Coal generation even with the “ultrasupercritical” technology is much more carbon intensive than natural gas with as much a one pound extra of carbon dioxide emissions per kilowatt hour of electricity generated when compared with natural gas. The 38,000 citizens of Greenfield Wisconsin will be paying a carbon tax on this project for the next thirty years. The fish in Lake Michigan will be paying a mercury tax for the next hundred years. Bechtel and WEC will argue the legalities of the claims for the over-runs and who knows if the claims are valid but the Green Machine would like both the constructer and the owner of the failed facility to be taken to the Green Court that is the Supreme Court for those who disobey the Laws Of Thermodynamics. The project was a dumb idea in 2005 even when natural gas was more expensive. Now that natural gas is much less expensive the project is plain idiotic. Perhaps citizens will be better served if the management of utilities were smarter, the contractors were more in tune with being green, and the public utilities commissioners were “ultrasupercritical” of stupid ideas. Can Bechtel please tell George Conniff that the whole world not just the whole industry is watching to see how the project performed. No doubt this project gets a F.
Can kids running around a house power a TV? I have come across the most out of the box idea for electric power generation. It all started when Lawrence an avid reader of my blog asked me if it was feasible to generate electric power by laying down miles of copper wire on the floor and having kids run around the room with magnets tied to their bodies. On the surface this sounds like a not so bad idea. I estimated each kid could put out about 10 watts of power and could run around for at least two hours so if one had ten kids in the house one could generate enough power for one and half hours of watching a 40 inch LCD TV. This got me thinking about manpower hours. We have horsepower hours. Eldon another reader of my blog once emailed me that a barrel of oil has the amount of energy that eight men working at full pace eight hours a day would generate in a year. I actually did the calculation and it is estimated that a man working at full tilt is about 8% of a horsepower. Therefore 12 men working in unison is one horsepower. 12 men working for an hour is a horsepower hour. 12 men working 2000 hours a year is 2,000 horsepower hours or 1,500 kilowatt hours. A gallon of oil has about 35 kilowatt hours of stored chemical energy and there are 42 gallons in a barrel, therefore a barrel of oil has approximately 1,477 kilowatt hours of chemical energy. Now that we know 12 men working flat out for a year is a barrel of oil, lets all become couch potatoes because human work, kids running, or hamsters tread-milling will not replace our oil imports. So what is the most out of the box idea for electric power generation? Well it comes from Chinookville (Canada). These blokes in Quebec believe that one should place windmills aloft in the sky up to one thousand feet above the land. The rationale being that the wind is more constant at this altitude and the dispatchability of electric power would increase from 20% of the time to 50% of the time. Their device is a rotating airship that is tethered to the ground by wires. They have named their airship MARS for the Magenn Air Rotator Systems http://www.treehugger.com/files/2005/12/magenn_air_roto.php http://www.renewableenergyworld.com/rea/news/article/2005/12/mobile-air-rotors-use-wind-to-generate-electricity-40993 I have heard of one of the founders of the company as he was previously in the hydrogen fuel cell business. He of course lost his shirt and other investors’ money in the fuel cell effort and is now trying to find the answer blowing in the wind. MARS has raised over ten million dollars so far to commercialize this idea. My take on the MARS system is that it will never take off so to speak. It is clever but not cost effective. It could be used by ships and the power that is generated could be transmitted via the guide wire back to a ship, but I estimate more energy could be generated if the ship simply had a sail assisting in its propulsion. I have to rename the MARS system to the VENUS system. VENUS = Very Expensive Not Ubiquitous System. I should not knock their idea as at least they are thinking out of the box and there is some chance that the system can find an application here and there but it simply will not do much more to save the planet than having the younger generation run around with magnets tied to them in the hope of capturing some of that seemingly inexhaustible energy.